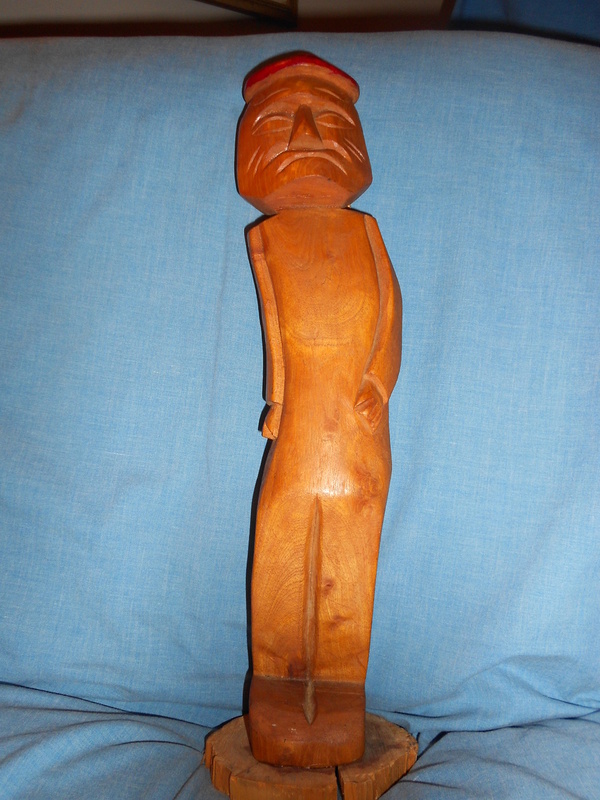 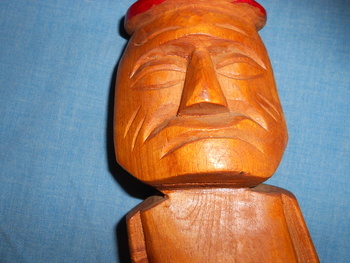 Folk art figurine,13' tall made of hardwood. 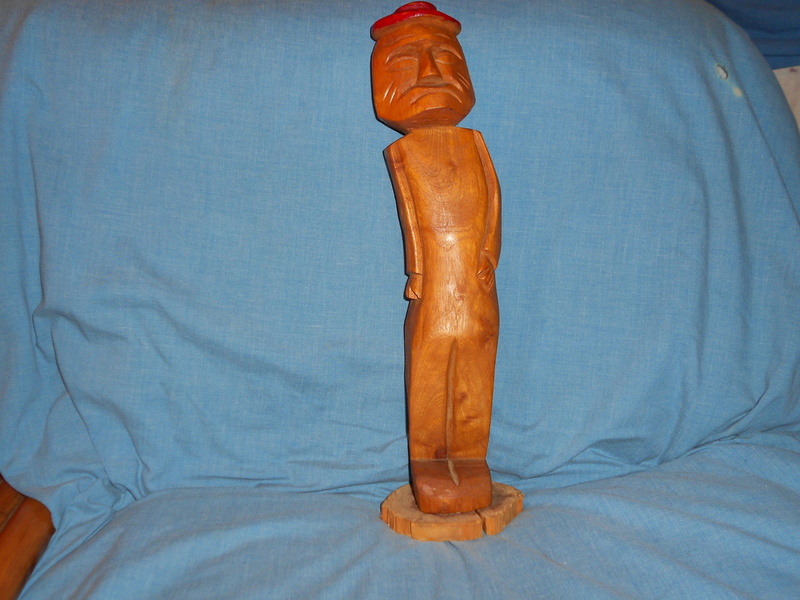 This stoic gentleman has been with me from the late 60's,I believe he was carved Peru or thereabouts.His shape follows the curve of the very hard,heavy wood. 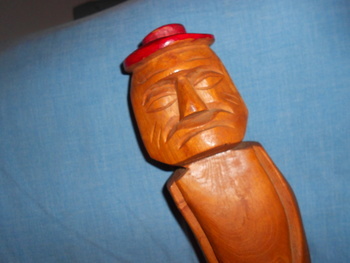 inky,it is a strange one for sure.